I laughed when I read this in your Leica Guide. You are very correct. I've sold most of my DSLR gear including my (Zeiss 100mm macro, 35mm 1.4), and Nikon 24-70mm to purchase Leica gear. Lately, I've regretted that decision, because I try very hard to use my 75mm Summicron for close-up photos, but fail most of the time. It could be that my lens is calibrated for the M9 and not my film M since it is the latest copy (Feb 2011). I don't know. As far as medium/long distances, its one of the sharpest lenses I've ever used though. I've also tried the 90mm Summicron ASPH, but that lens is even tougher to use than the 75mm even with a longer focus throw, so I gave it up. Of course it could even be lens/body combinations, but still, it's a hassle to send a lens and body back to Leica for re-calibrating. But will that even work? At this point I'm now considering lightening up my rangefinder kit to buy some nice Zeiss/Nikon lenses that I adored and miss a lot. I still have my D700 which is so heavy compared to the Leica rangefinder system which is why I got into Leica in the first place. Wouldn't it be nice to have the best of both worlds in one system! P.S. 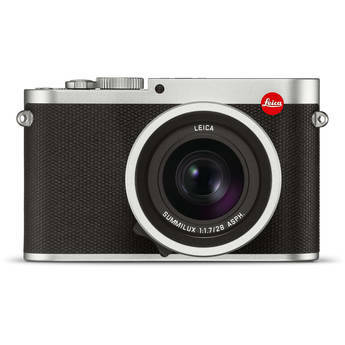 The Leica dealer that I use hinted to me that the M10 will have a reflexive electronic viewer. I guess we will wait and see. DIGLLOYD: In my experience, getting consistent results with lenses beyond 50mm on the M bodies is pretty tough, especially if one is shooting at f/2 or f/2.8, where there is no room for error. I go into these issues and many more in my Leica Guide. We are not yet at the stage where an M body can be anything other than a camera for a few purposes. I like it for landscape photography and documentary shots. While it can be used for portraiture, that requires cooperative subjects; it’s very difficult for other subjects such as moving children because focusing is slow and error prone (movement of one inch of subject or photographer throws it off also! ), unless one stops well down. I certainly would never sell my Zeiss 100/2 or 35/1.4 as those are world-class lenses one should keep for the long term.